Kay Bojesen: Infant Plate and Bowl Porcelain Gift Set. Made in Denmark. Special: $89.99 instead of $125.00. NOVA68 EXCLUSIVE - 3-piece newborn gift set; the Kay Bojesen porcelain Infant Plate and Bowl set makes a stylish gift idea and allows children to eat in a fun way. Presented in a gift box; the set of 3 comprises 1 dinner plate, 1 soup bowl and 1 cup that together form a classic yet whimsical heirloom quality table setting that can be appreciated by both children and their parents. Kay Bojesen was a leading Scandinavian functionalist and his architecture and designs are known for their simple, architectonic style. Play with your favourite foods – give a gift that makes any meal a celebration. 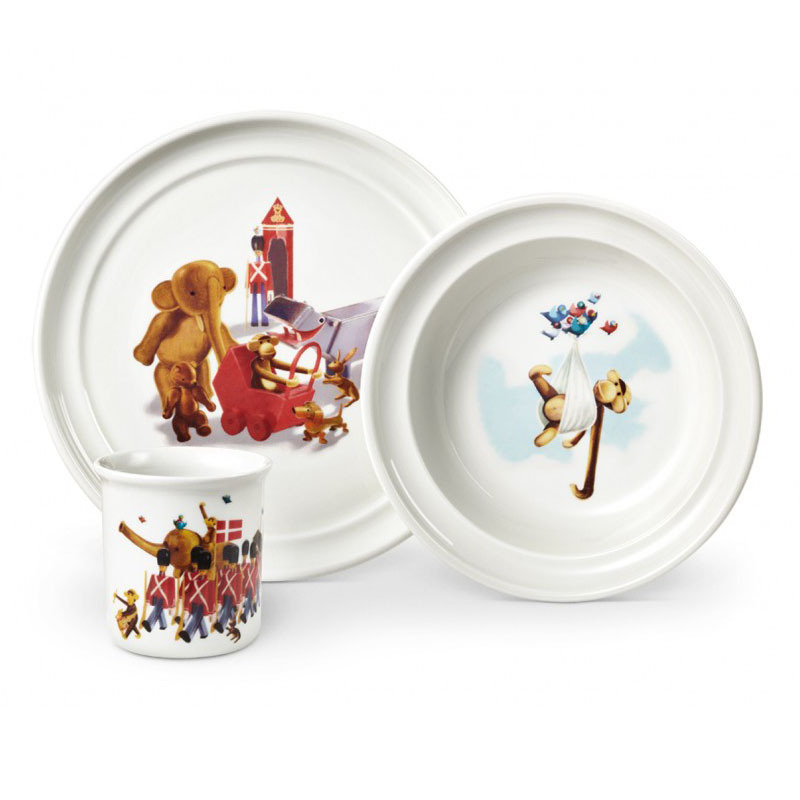 The Monkey, the Elephant, the Bear, the Rabbit, the Guardsman, the Dachshund and the Hippo, Kay Bojesen's popular friends, invite you to a food circus on this colourful children's porcelain tableware that comprises a plate, bowl and cup. A gift idea that fires the imagination and makes the vegetables go down a treat. Material: Porcelain. Dimensions: 11 x 4.5 x 4.5 inches. From NOVA68.com.